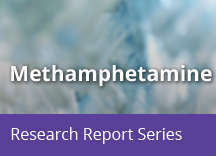 Home » Publications » Research Reports » Methamphetamine » How is methamphetamine abused? Methamphetamine comes in several forms and can be smoked, inhaled (snorted), injected, or orally ingested. The preferred method of abusing the drug varies by geographical region and has changed over time. Smoking methamphetamine is currently the most common way of ingesting it, according to CEWG data. Smoking or injecting methamphetamine puts the drug very quickly into the bloodstream and brain, causing an immediate, intense “rush” and amplifying the drug’s addiction potential and adverse health consequences. The rush, or “flash,” lasts only a few minutes and is described as extremely pleasurable. Snorting or oral ingestion produces euphoria—a high, but not an intense rush. Snorting produces effects within 3 to 5 minutes, and oral ingestion produces effects within 15 to 20 minutes. As with many stimulants, methamphetamine is most often abused in a “binge and crash” pattern. 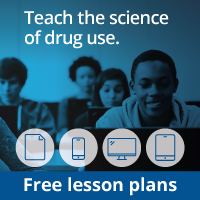 Because the pleasurable effects of methamphetamine disappear even before the drug concentration in the blood falls significantly, users try to maintain the high by taking more of the drug. In some cases, abusers indulge in a form of binging known as a “run,” foregoing food and sleep while continuing to take the drug for up to several days.